Does it seem like the mood has been kinda gloomy around here lately? First this grumpy post, followed by a failed recipe. Bah! It's time to cheer up (buttercup)! Luckily, the recipe I've got for you today does exactly that. 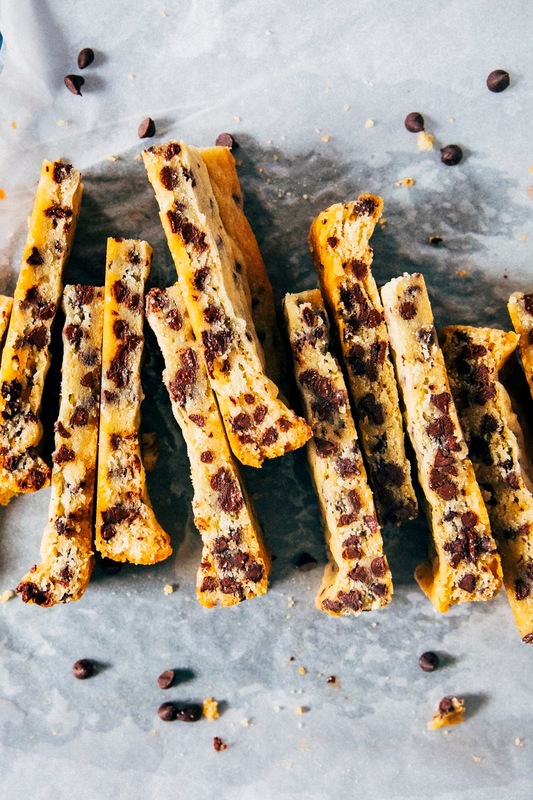 Chocolate chip cookie sticks! These babies are a cross between a chocolate chip cookie and a shortbread one. 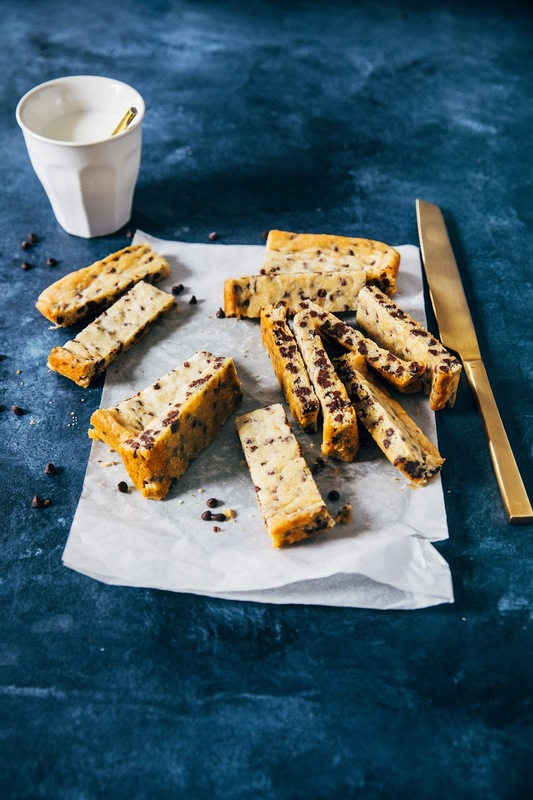 Warm and fresh out of the oven, they taste like the beloved chocolate chip cookies we all love. 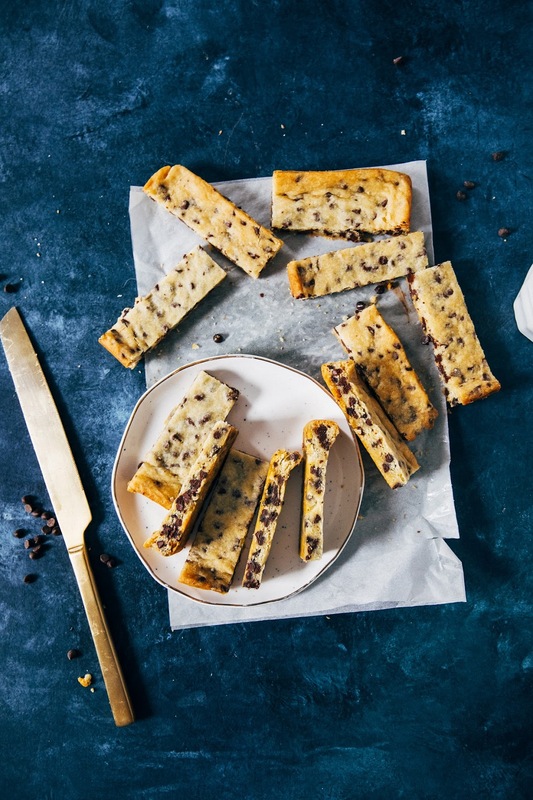 But as they cool, they take on the texture of a buttery, crumbly shortbread studded with mini chocolate chips. They're so utterly addicting that I ate about a quarter of the pan in one sitting. They're from my dear friend Christina's newish cookbook, Sweet & Simple. Christina and I met last year on a business trip during a somewhat challenging client partnership. And even though I was a total zombie the day we met, almost incoherent with jet lag (I'm not joking about this; I'd flown in from Copenhagen the night before, and I was absolutely awful in the interview we filmed that day) and wearing my really dorky granny glasses from ten years ago, Christina stuck by my side and tolerated my incredibly lame jokes. We've stayed in touch since that trip, commiserating and laughing about our crazy blog lives. Not only is Christina the sweetest and most hilarious person ever, but she's also one of the most talented bakers I know. She scales down all her recipes so that they come out in small batches, with servings and portions enough for just two people. Do you guys realize how hard it is to actually pull that off?! 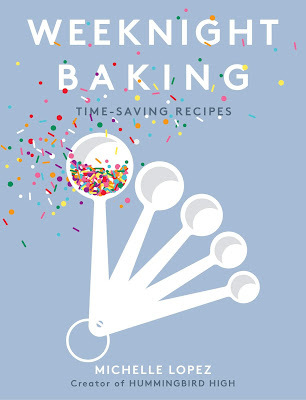 Baking is a lot more scientific than cooking — even the smallest changes in ingredient quantities can affect the whole recipe's ratios and entire chain of chemical reactions, leading to sunken cakes, rock-hard cookies, and other potential baking disasters. 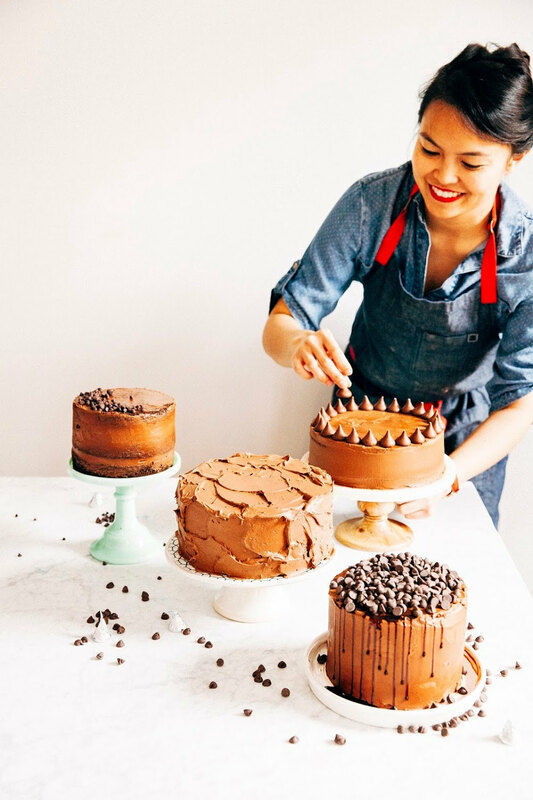 Her recipes are incredibly clever, making whole cakes out of loaf pans and using different substitutes for eggs. Seriously; go check out her blog if you haven't done so already! Use mini chocolate chips in this recipe! 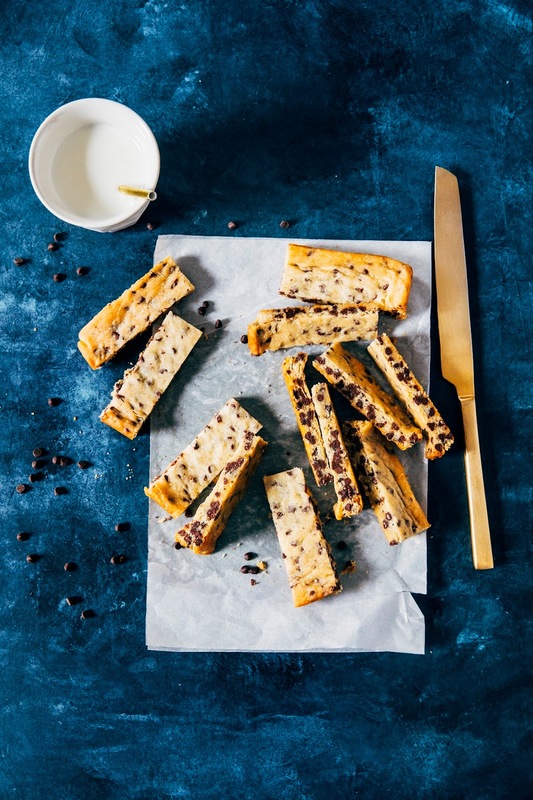 According to Christina's notes for the recipe in the book, her very scientific recipe testing (😉) concludes that mini chocolate chips equate to more chocolate per bite. I am very, very down with that. I found it a little hard to tell when the bars were cooked; the center remained quite yellow and pale for me. Don't you dare overcook it though, or you'll end up with a brittle texture that will make me sad for you. Stick with the recommended cooking time of the recipe — a tell-tale sign will be when the edges have brown lightly and set. It's okay if the center is still a little poofy and soft; it will solidify as it cools. Center a rack in the oven and preheat to 350 (F). 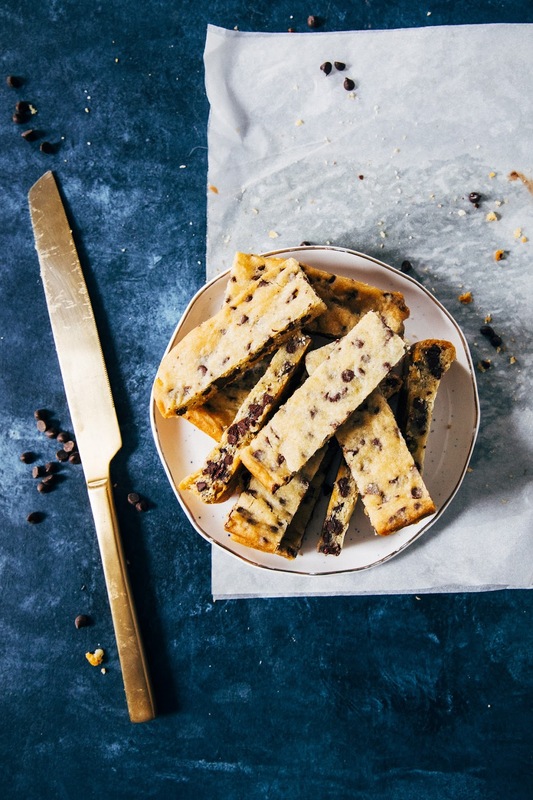 Line the bottom of an 8-inch square pan with parchment paper. Lightly grease the edges of the pan to ensure that the cookies don't stick. 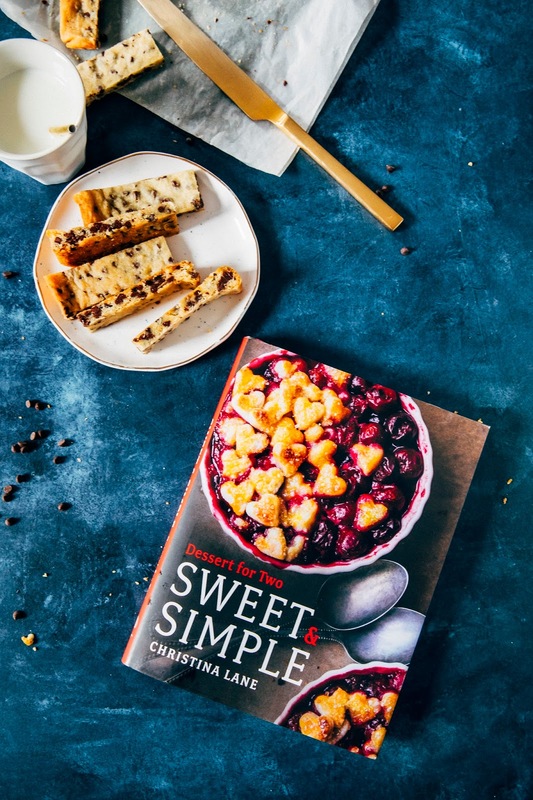 In the bowl of a freestanding electric mixer fitted with a paddle attachment, combine 1/2 cup unsalted butter, 1/2 cup powdered sugar, and 2 tablespoons honey. Beat on medium speed until fluffy, about 45 seconds. Add 1 teaspoon pure vanilla extract, and beat until combined. Add 1 cup all-purpose flour and 3/4 teaspoon kosher salt, and continue beating just until the flour has disappeared into the dough. Remove the bowl from the mixer and use a rubber spatula to scrape down the sides. 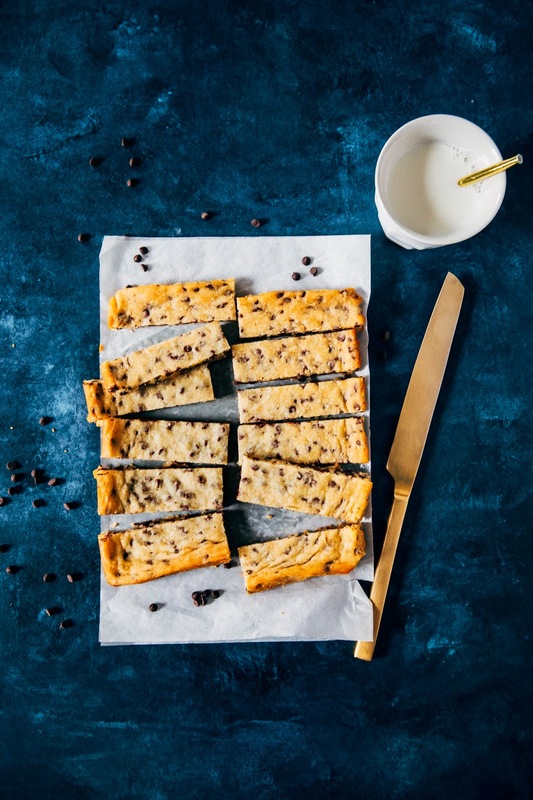 Sprinkle 1/2 cup mini chocolate chips over the batter and mix them into the dough by hand with the rubber spatula until evenly dispersed throughout. Use the rubber spatula to scrape the dough into the center of the prepared pan and use an offset spatula to spread it across the pan to create an even layer. Transfer to the preheated oven and bake for 20 to 25 minutes, or until the edges start to lightly brown. Transfer to a wire rack to cool for 15 minutes, before removing from pan and slicing. Serve warm for a chocolate chip cookie dough texture, and at room temperature for a shortbread effect. Enjoy!